Spring dogwood flowers (Cornus florida); photo by Tom Potterfield on Flickr (noncommercial use permitted with attribution / share alike). 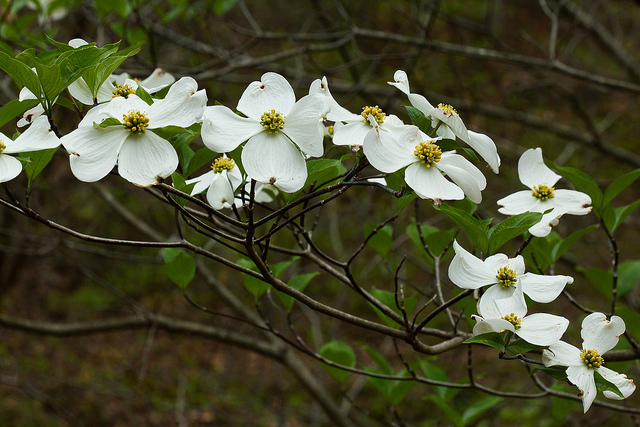 The blossom of the dogwood tree (Cornus florida) was designated as the official state flower of North Carolina in 1941. 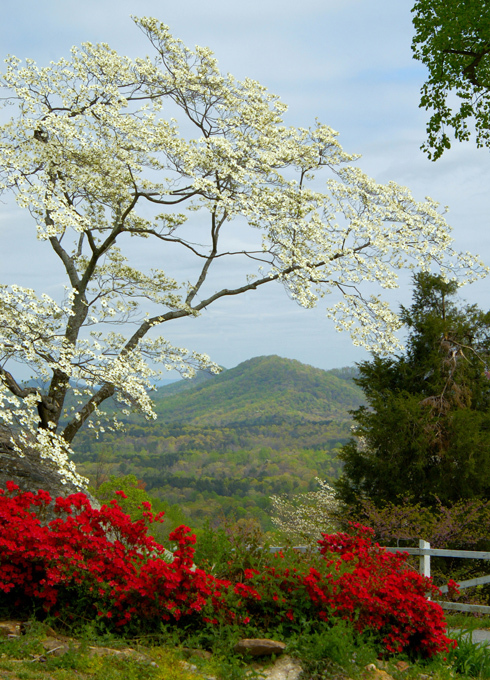 The Dogwood is one of the most common trees in North Carolina, found in all parts of the state from the mountains to the coast. Flowering dogwood tree in North Carolina; photo by Glen Peterson on Flickr (noncommercial use permitted with attribution / share alike).